Just after making an order, system will automatically issue an invoice, which can be paid using client bank or by cash in any bank of Ukraine. Legal entities are provided with all needed documents. After making an order, choose «Credit card» payment method. The system will redirect you to the page of Internet acquiring bank. As soon as you enter your credit card information, payment will be immediately accepted. This method is convenient in case you don't posses the access to payment service providers. Refill your current account in Ukrnames system and make any service payments in online mode. 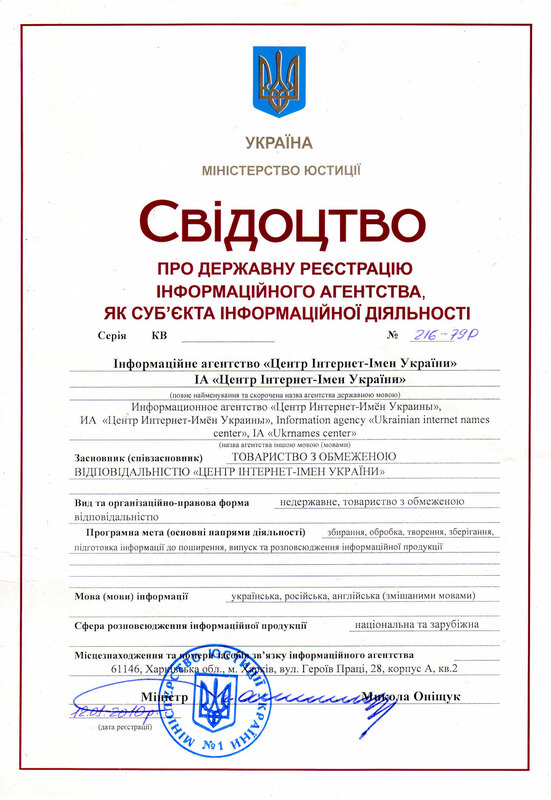 Interkassa allows to make payment via one payment interface using various payment services, terminals and banks of the Russian Federation: NSMEP, Privat24, MoneyMail, RBK Money, W1 Wallet One, LiqPay, Unikarta, Liberty Reserve, PerfectMoney, WebCreds, Telemoney, Z-payment, Yandex Money, Ukash, MoneXy, Wmnote, Sberbank of the Russian Federation, the Bank of Russia, Russian post. Payment is performed fully automatically - you can use the service just right after payment.